The Samsung SCP-3370TH dome is an indoor PTZ dome that features a 37X auto focus zoom lens with low light level capabilities of 0.7Lux Color. The PTZ has full 360° capability, 500° per second pan speed, and 255 presets. 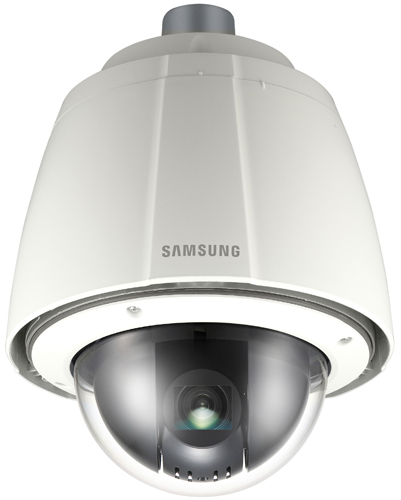 With Samsung’s SV-V DSP engine, the SCP-3370TH PTZ domes feature SSNRIII, the 3rd generation of Samsung Super Noise Reduction, WDR and Virtual Progressive Scan. This camera can be mounted in a variety of configurations using optional accessories depending on application. It is compatible with a range of control protocols via both RS-485 and coax. The high-resolution camera with Day/Night ICR function switches between color and B&W as per changes in ambient lighting, ensuring accurate color reproduction in daylight and enhanced B&W images at night. With noise reduction technology (SSNRIII), the camera offers color images in dimly-lit areas with reduced noise in the picture, thereby saving storage space. Automatic gain control adjusts the signal strength to maintain a constant brightness level, and auto white balance adjusts the red and blue signals by taking a standard white color reference to get the most natural colors. The Samsung SCP-3370TH has many exciting features for users of all types. See the Samsung SCP-3370TH gallery images above for more product views. 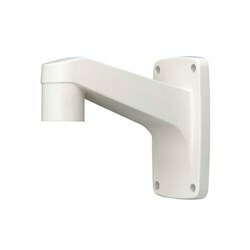 FactoryOutletStore stocks a full line of accessories like Wall Mount Bracket for the Samsung SCP-3370TH. The Samsung SCP-3370TH is sold as a Brand New Unopened Item.